The Shochu Diet - Kampai! : Kampai! I’m the last guy you’ll ever see falling for fad diets. I even get annoyed when my friends say, “I’m on a diet.” My attitude has long been that portion control and good eating habits are all it takes to keep the weight off. Obviously this isn’t the case for everyone, but it should work for a majority of us. I’ve never thought of myself as having a weight problem (and I still don’t), but a couple years ago I got Wii Fit. And the very first time I did a “body test” it said, “That’s overweight” when reporting my results. I’m 5’9″, average build, and my weight since getting the Wii has fluctuated between 168 and 180 lbs. That’s a 12 lb swing, but over the course of 2 or so years. I’m usually very active in the summer and drop a few pounds, putting them back on once it gets cold outside. During the summer I cycle 50-60 miles a week, play soccer weekly, and play tennis twice a month. But this summer was different. On June 8th I broke a rib. This reduced my cycling to about 35 miles a week (just to and from work) and at a slower speed. No soccer or tennis until August. But I didn’t change my diet, so I put on some pounds. 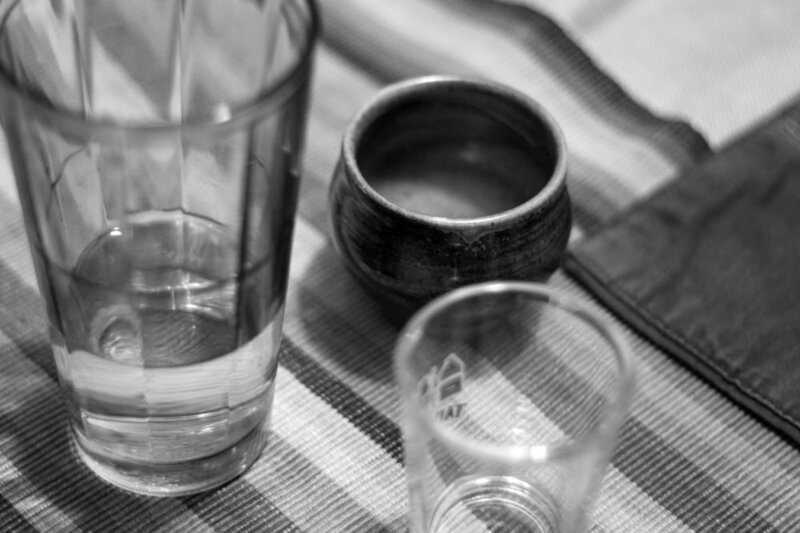 So around the time I decided to start this blog, I decided to start a “Shochu Diet.” Weird idea, right? An online calculator told me to reach a goal of 165 lbs in 3 months I’d need to reduce my calorie intake by about 300 per day. Do the math. If I average 3 drinks a day, I’m consuming between 288 and 450 calories (beer and red wine are my most common choices) just in alcoholic drinks. 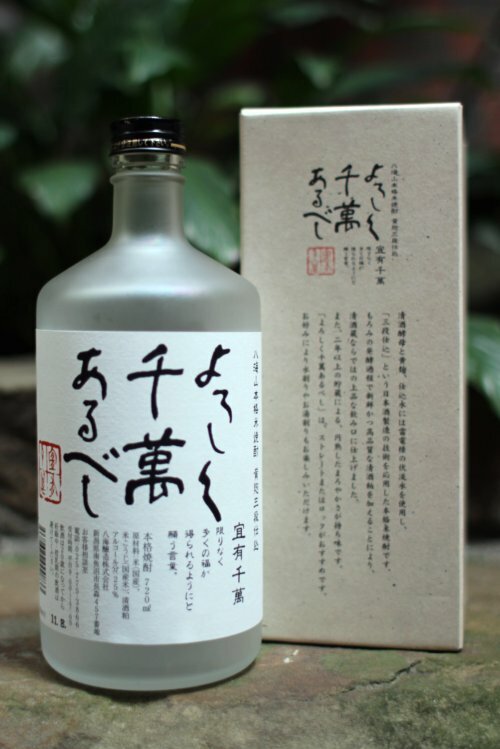 If I switch to shochu I’m drinking 105. Realizing this, I decided to substitute “most” of my alcohol consumption with shochu. Since I’m not very good at denying myself things I enjoy, if friends want to go out for beer, I go out for beer. If I want red wine with dinner, I have red wine with dinner. But just by making this switch I’m reducing my calorie intake by between 183 and 345 per day. 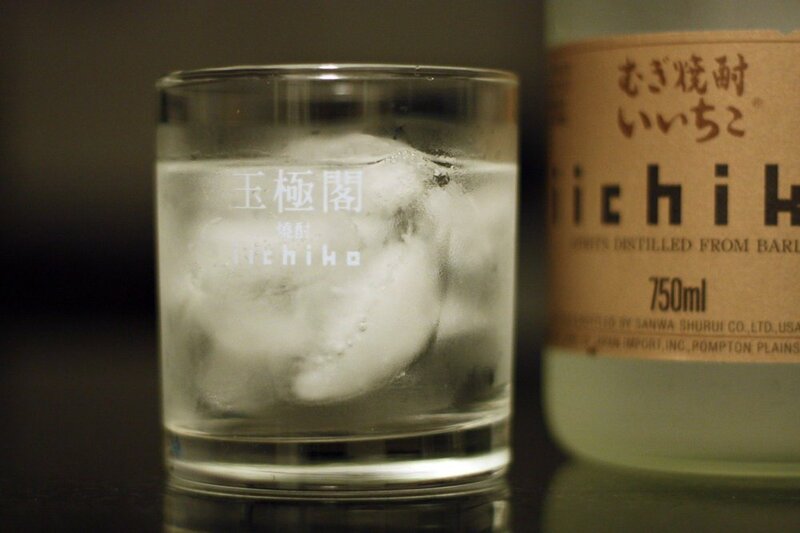 I’m guessing I’ve replaced about 75% of my other alcohol with shochu, so saving about 130-250 calories per day. Here’s the results from the first 30 days. I’m weighing myself with the Wii Fit so it may be off, but it should be off consistently. On September 1st I weight 177 lbs. 29 days later I’m at 172. That’s 5 lbs in about 4 weeks. Not a huge decrease, but still much quicker than I normally lose and puts me very close to my goal of 165 with 2 months to go.